Visit Building Green for free! 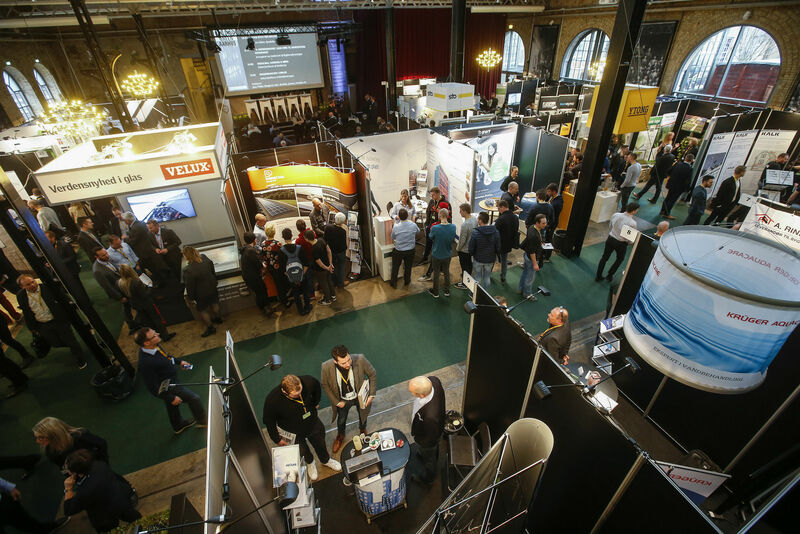 Building Green is a growing event in Scandinavia where you free of charge can meet architects, city planners, constructors and contractors among others and get a detailed insight into trends and innovations in the sustainable building industry. The event is an exhibition with products and solutions as well as a platform for knowledge consisting of international keynotes, relevant debates, idea pitching and much more. Building Green was established in 2011 and our mission is to highlight the importance of sustainable building and thinking. Building Green is looking forward to welcome you! Insight Events Denmark collects your personal information when you visit and use our websites, sign up for our events, subscribe to our newsletters, download our event materials or use our services in other ways. Here, only non-sensitive information, including name, email, job title, company and company address, are collected. There are two types of cookies. The first type will be stored for the duration of your visit (“session cookies“) and the other will remain on your device for a fixed period, which could be months or even years, to remember you across multiple browsing sessions (“persistent cookies“). Insight Events use the APSIS Lead service to identify businesses for future B2B relationships. APSIS Lead use information such as your IP address and unique identifiers stored in cookies on your device for the purpose of identifying your business/employer. We use AddThis for the purpose of enabling you to create and share links to the content of our website across social networks. It important to note that AddThis’ cookies may use the data collected to provide advertisers and marketers with profile information for targeted, behavioral advertising. Item 1: It is necessary for us to process your personal information in order to sign you up for our events, including handling your purchase as well as giving you information about billing and the conference/course you are enrolled at. Item 2: We process your personal information to provide you with relevant offers and information about our events. You can opt-out by writing to us. At the entrance to Building Green you will be provided with a business card. This card has a chip registering your contact information. When you scan the business card on the individual stand you share your information with the exhibitors. By doing so, you give the exhibitor your acceptance to contact you per email with information and news about their products. The consent can always be revoked. If you do not wish to receive news from the exhibitor you simply do not scan your card at the exhibitor’s stand. In some cases, it is necessary for us to share your information with our suppliers when they provide services for us in connection with our events. When you sign up for our events, you allow your name, title, and company to be printed on a participant list, provided exclusively at the conference to provide the best networking opportunities. You can always contact us if you do not wish to appear in the attendance list. We store data according to current legislation. If you do not want us to keep your information, please write to us at any time and request them to be deleted. We can store data for a longer period of time if necessary in order to protect our legal interests. We make the necessary security measures to protect your personal data from loss and to protect against unauthorized access to these. We regularly review our security policies and practices to ensure our systems are secure. You have the right to request insight into, changes to and deletion of your personal information. Furthermore, you have the right to receive a copy of the personal information that we possess about you. If you would like this, you can write us at any time.